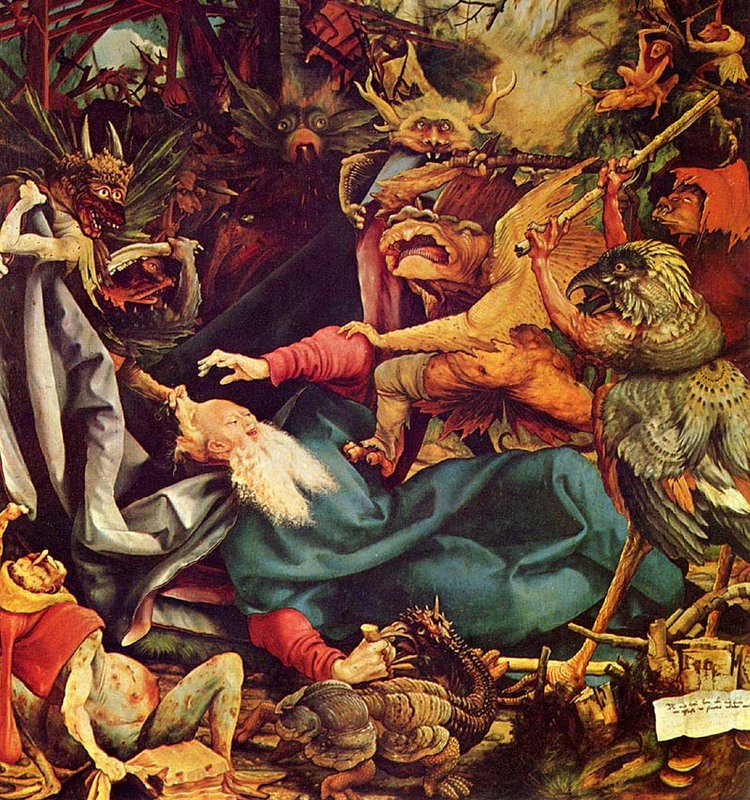 A legion of horribles, hundreds in number, half naked or clad in costumes attic or biblical or wardrobed out of a fevered dream with the skins of animals and silk finery and pieces of uniform still tracked with the blood of prior owners, coats of slain dragoons, frogged and braided cavalry jackets, one in a stovepipe hat and one with an umbrella and one in white stockings and a bloodstained wedding veil and some in headgear or cranefeathers or rawhide helmets that bore the horns of bull or buffalo and one in a pigeontailed coat worn backwards and otherwise naked and one in the armor of a Spanish conquistador, the breastplate and pauldrons deeply dented with old blows of mace or sabre done in another country by men whose very bones were dust and many with their braids spliced up with the hair of other beasts until they trailed upon the ground and their horses’ ears and tails worked with bits of brightly colored cloth and one whose horse’s whole head was painted crimson red and all the horsemen’s faces gaudy and grotesque with daubings like a company of mounted clowns, death hilarious, all howling in a barbarous tongue and riding down upon them like a horde from a hell more horrible yet than the brimstone land of Christian reckoning, screeching and yammering and clothed in smoke like those vaporous beings in regions beyond right knowing where the eye wanders and the lip jerks and drools. And that’s just a taste of how hauntingly awesome this work is. 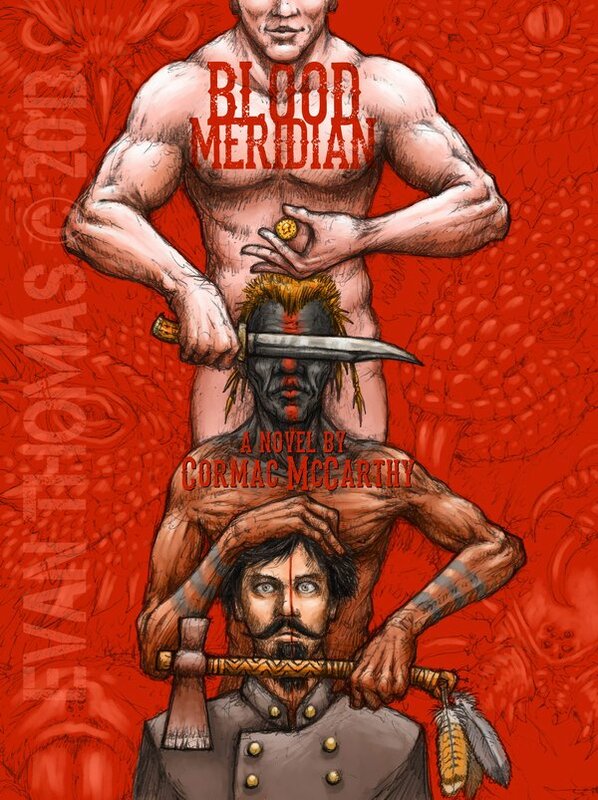 This is my second time reading Blood Meridian in five years, and I have to say it has been even better the second time around. 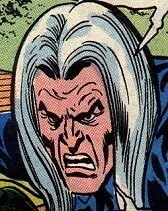 That said, as Paul and I had a long, meandering discussion about the book I couldn’t help but remember why I love reading and talking about great books. So much fun. Paul, as he often does so well,succinctly summed up the conversation much better than I ever could (I am long-winded by nature) in his post on the discussion. One of the things we touched on was the time period of Blood Meridian. It is set soon after the Mexican-American War in the summer of 1849, well before most of the “how the West was won” stories often set between the 1860s and the 1910s. The idea came up that the West was effectively won during the Mexican American War when the US government annexed a third of its current land in less than two years. A moment that can be easily framed as an early impulse towards imperialism in the U.S. It could be argued what comes after 1849 is more akin to the law and ordering of the spoils after this conquest. 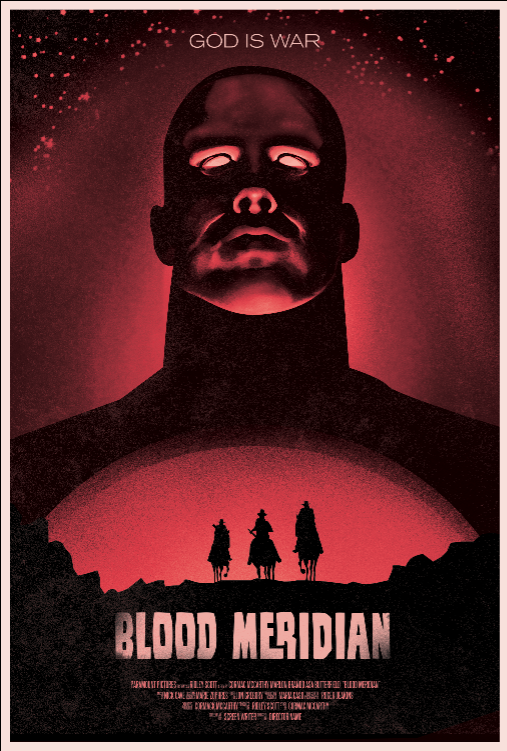 In fact, Blood Meridian takes you to the darkest, bloodiest vision of what that “clean-up” might have looked like. The video runs long, but it was a blast and I have really missed taking some time out of my schedule to catch up with Paul for a chat about books, film, comics, etc. There will hopefully be more where this came from. This entry was posted in books, digital storytelling, literature and tagged Blood Meridian, books, ds106, western106. Bookmark the permalink. I’m working on making an audio piece out of this. Editing is hard though. I found out yesterday that there’s an album inspired by Blood Meridian – http://www.npr.org/templates/story/story.php?storyId=99347082 , so maybe that’s something I’ll work in. Awesome, I’m excited to hear it, and next up My Darling Clementine.